Great Britain 1840 Scott 1 1p black "Queen Victoria"
Greetings! 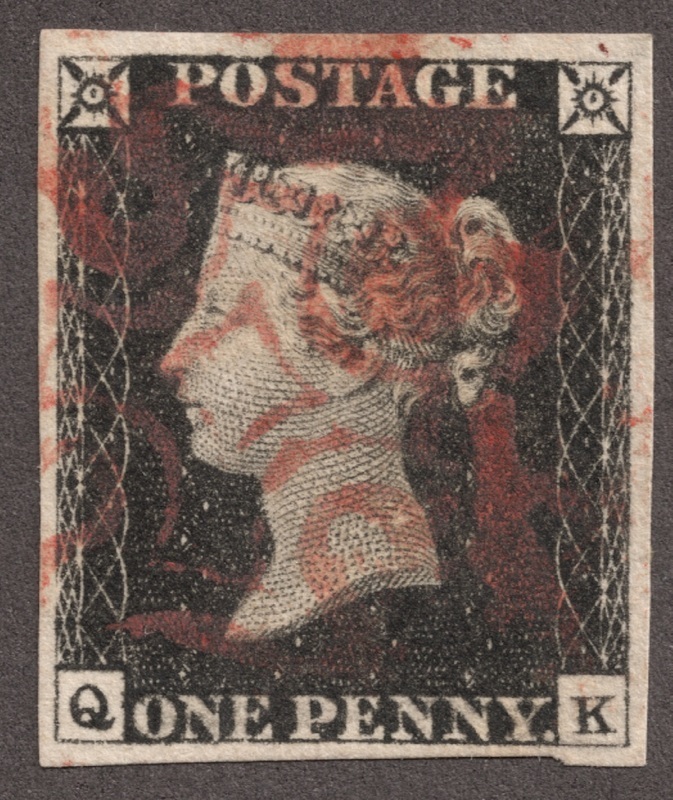 What is more appropriate for a first time post than the very first stamp- the 1840 penny black? The "Penny Black" was the archetype for classic designs in general, and Great Britain in particular for the next 100 years. Although it is the classic, the color proved to not be good for cancellations (especially black cancellations), and the color was changed in 1841 to red. Then the "Penny Red" ruled the British mail for 40 years. One will note that nowhere is the name of the country on the stamp. That is because it was initially thought these stamps would only circulate in the United Kingdom. But with the agreement of overseas post offices, Great Britain was able to continue this privilege, provided the monarch's effigy was designed on the stamp. So began the tradition of featuring the reigning monarch on British stamps. Under Rowland Hill, the Uniform Penny Post, charging only 1d for prepaid letters, was wildly successful. So ends our brief look at the first stamp. I hope to publish occasional posts on the GESS blog where I will feature a stamp that intrigues me for some reason. And, at times, we will wander among the Eugene stamp scene for other posts. I collect WW 1840-1960, and therefore have much to talk about. I am the webmanager for the Greater Eugene Stamp Society, and so it seems natural to discuss stamps and the Eugene stamp scene here.